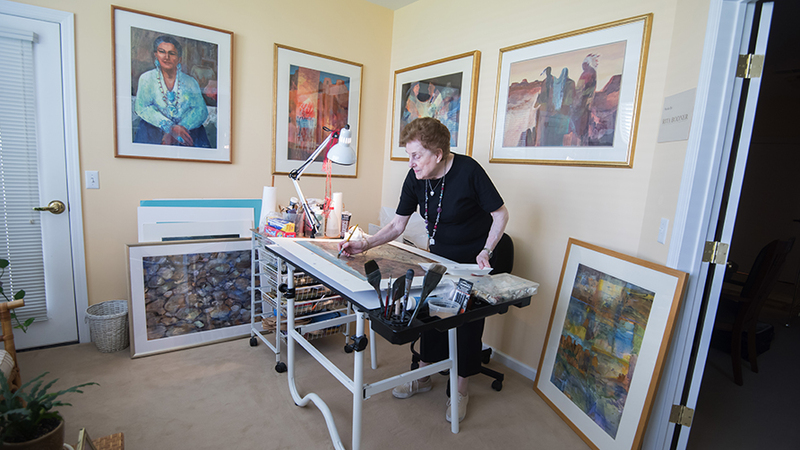 Rita spends much of her time in her home’s den, which she transformed into a working artist’s studio to continue her life’s passion. 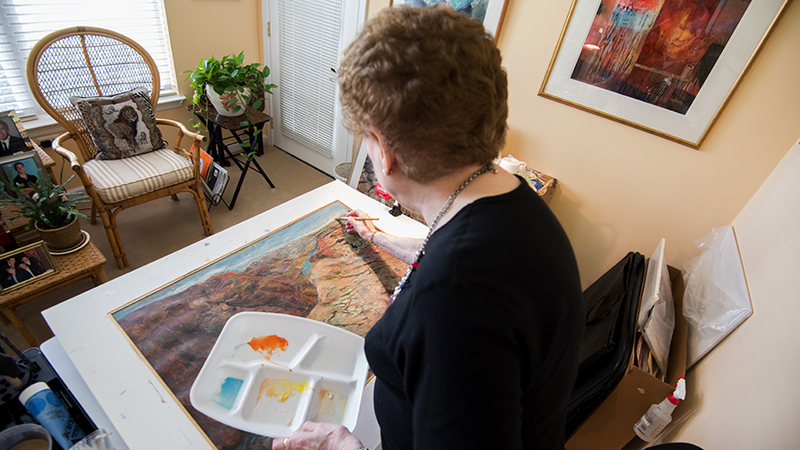 You may have seen her work in galleries, museums, and auctions. The dedicated studio features french doors off the living room. Want to schedule a tour or request a brochure? Fill out our contact form below and we’ll be in touch soon.